Check out our police cars new look! You may notice our patrol cars are starting to look a little different! 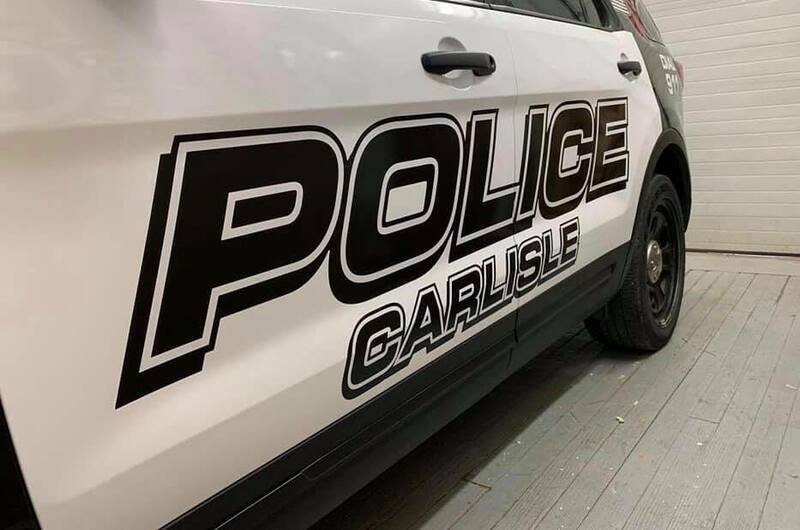 One of the primary goals of the Carlisle Police Department is to be visible and accessible to our community. 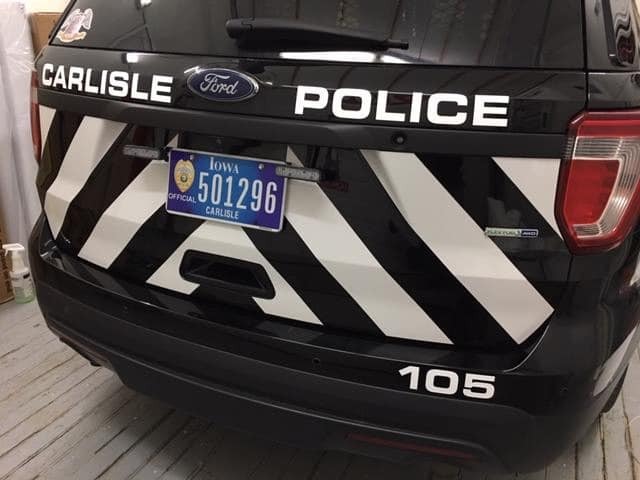 While still maintaining the traditional black and white scheme, the new graphics not only provide a bolder look, but the visibility on the rear of the vehicle will also increase officer’s safety.